Heat oven to 375°F. Spray 9-inch square or 11x7-inch (2-quart) glass baking dish with cooking spray. 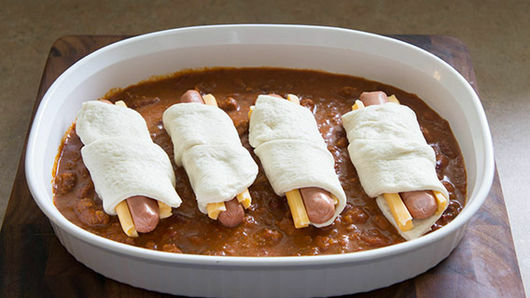 Pour hot chili into dish; spread evenly. Bake 15 to 20 minutes or until dough is light golden brown. Meanwhile, in small microwavable cup, microwave butter on High until melted. Stir in garlic powder and parsley. Remove baking dish from oven. 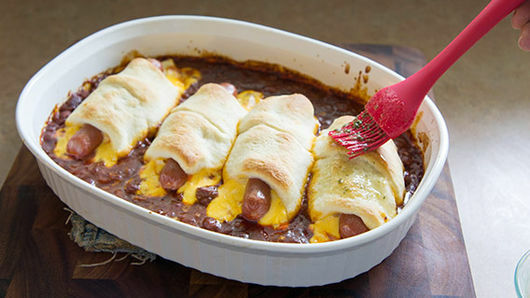 Brush on top of each cheese dog with butter mixture. Serve immediately. 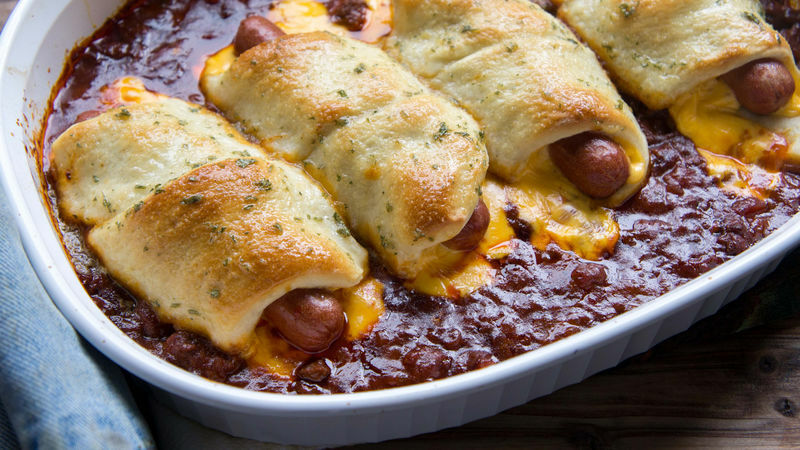 For a healthier version, try these substitutions: turkey chili, turkey hot dogs, and/or reduced-fat cheese sticks. 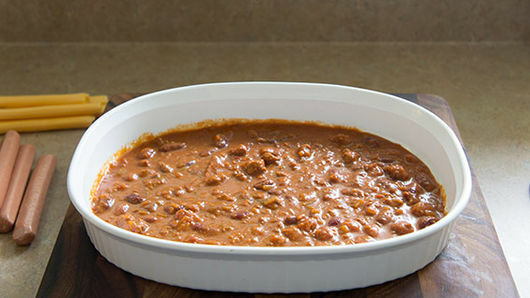 Add finely chopped red and green bell peppers to the chili before baking to add some veggies to this delicious dish!